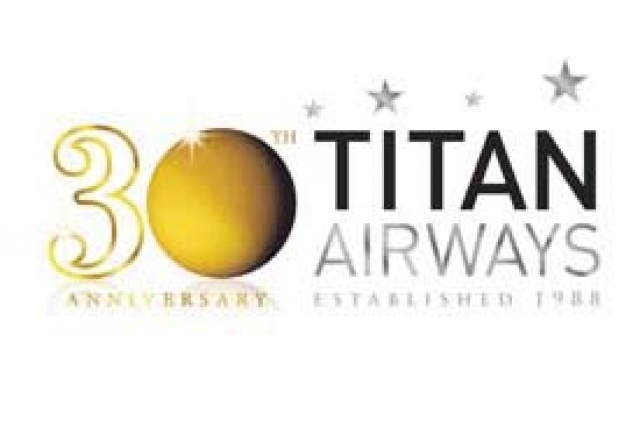 Edinburgh, Scotland: Titan Airways, the UK based bespoke and VIP charter airline, returns to the European Regions Airline Association's Annual General Assembly this week (9th-11th October) as it marks its 30th anniversary. With the commencement of the IATA winter timetable, it restarts a series of winter ski operations to France, Italy and Switzerland, working with six ski companies - Ski Esprit, Ski Total, Inghams, Crystal Ski Holidays, Neilson and Sky World. It will also be resuming winter sun flights to Banjul, Gambia, for the third successive year, departing from London Gatwick. One of its Boeing 757s, in a split business/economy layout, concludes a month-long world tour later this month for a France based luxury tour operator, complete with onboard chef. In addition, Titan is working with Superbreaks for a series of flights to the exciting area of Akureyri in Iceland, a programme that features many of the UK's regional airports. Over the summer Titan continued to support British Airways at Gatwick (including support flying on London Gatwick-Edinburgh) as well as easyJet, from Gatwick, Berlin and Munich, Germany and Jet2.com - from Stansted and Leeds. The airline is in the process of reconfiguring a second Boeing 737-400 from passenger layout to dedicated freighter. It enters service in early 2019 - Titan's response to a resurgence of interest in freight capacity - into and out of the UK. 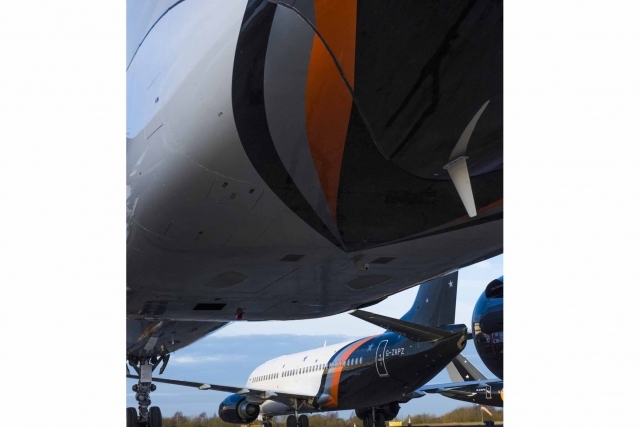 "Our decision to move into Airbus A320 operations three years ago has been an extremely popular move for our regular sub-contract airline customers, to the extent we are now exploring adding an additional aircraft to add to the four currently flying," said Alastair Willson, Titan Airways Managing Director. Alastair took over the role of MD from founder and CEO Gene Willson in December 2017, bringing management experience from his time at Air Partner Plc. Gene continues as Titan Airways' Chairman. Two single class ex-Air Berlin Airbus A321 aircraft joined the Titan fleet this summer and immediately went to work supporting Jet2.com, as well as providing supplemental lift for Cyprus' Cobalt Air out of Stansted and many other carriers. Titan also took on an ex British Airways' Airbus A318 in all executive 32-seat /72-inch seat configuration last year which is developing a specific private charter clientele. The bolstered Airbus fleet resulted in the addition of 35 former Monarch Airlines' employees joining its workforce, including pilots and flight attendants, engineers and safety personnel. The year 2017 proved to be one of the busiest in Titan's three-decade history. It mounted a significant and unprecedented repatriation effort when Monarch Airlines, the UK's fourth largest airline, abruptly stopped flying, rendering 110,000 passengers stranded in Europe and beyond. Over an intense 14 days, Titan Airways' "pop-up" operation briefly became the third largest airline in the UK. Working closely with the UK Civil Aviation Authority, Titan successfully repatriated over 80,000 passengers back to the UK on (or as near to) their original departure time. Its rescue flying bolstered turnover by 7%, with Titan becoming a £100 million revenue airline in its 30th year - for the first time in its history. Titan regularly complements its wet lease and sub-charter work for scheduled airlines with ad hoc and mid to long term VIP charters. For example, early this year it supported FIFA / Coca Cola with a 97-day promotional tour of the World Cup, taking in 51 countries, 89 airports and 146,835 km. For three decades, privately owned Titan Airways has built up a strong industry reputation - renowned for its 'Go Now' service for airlines that need quick operational solutions. There are few leading European Regions Airline Association (ERA) carriers that Titan has not supported over the decades. It has blazed a trail for the ACMI, short term and ad hoc charter business model that other players in the sector have started to move in to as competition / market consolidation and airport access continues to squeeze scheduled airline operations. Titan Airways has grown to become one of the most successful airlines with a 425-strong workforce and a versatile fleet of 12 aircraft. In addition to its commercial airliner fleet, Titan operates an Embraer Phenom 300 business jet, the industry's most popular light jet - for private use and a Leonardo AW109 helicopter which operates in Titan colours by SaxonAir at Norwich.